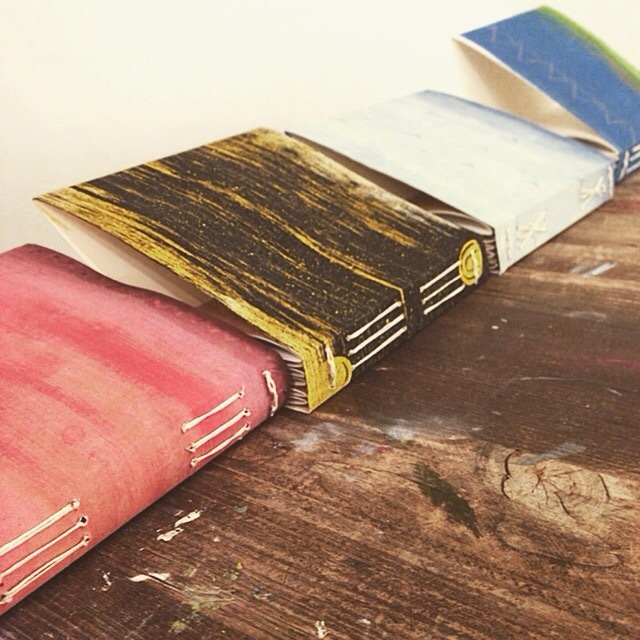 Bookbinding Workshop – this Sunday! This Sunday I’ll be teaching a Longstitch/Linkstitch Bookbinding workshop over at Graven Feather. It’s great for beginners and those looking to brush up their skills. Best part: everyone leaves with a finished journal unique to them!!! Where: Graven Feather, 906 Queen St West, Toronto. This entry was posted in Artists Books, Book Binding, Workshops & Courses and tagged bookbinding, bookbinding workshop, graven feather, handbound books, sproutspress, Toronto by sproutspress. Bookmark the permalink.